Contrary to popular belief, Tibet, in the winter, is not a frozen wasteland. Tibet actually has a very mild winter climate. The daily average temperature is around 8 degrees C (43 F). In Lhasa, Tibet’s capital, it does not get below freezing. It only snows occasionally and Lhasa’s winters have more sunny days than any other time of the year. The temperature in the winter varies sharply between day and night. During the day, the city is bathed in sunshine, and at night the temperatures drop considerably. A winter tour in Tibet features the most amazing cobalt blue sky which feels like it can be touched. The gorgeous sunshine lights Tibet’s ancient streets filled with leisurely strolling Tibetans wearing traditional costumes. These are not just the products of an artistic imagination, but a reality in Tibet. Take this opportunity to visit Tibet. Its unique and mysterious culture, beautiful landscapes, and amazing people will give you a travel experience unlike any other. 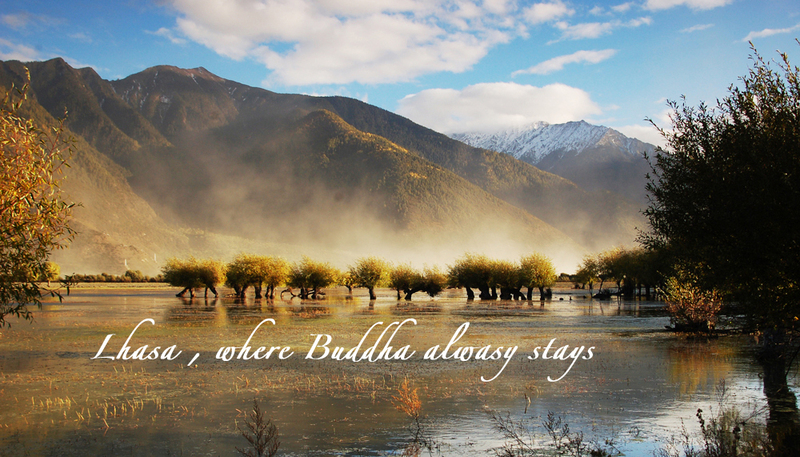 1) The landscapes of Tibet appear as if in a dream. The stunning colors of Tibet’s vegetation change with the seasons. The weather is characterized with dry air, small puffy white clouds, unbelievably blue skies, withering leaves and frozen lakes that are clear as glass. 2) In the winter there are much fewer tourists. The cities are more leisurely with none of the hustle and bustle found during the peak seasons. It will give visitors a great opportunity to meditate and deepen their understanding of themselves in this amazing place. 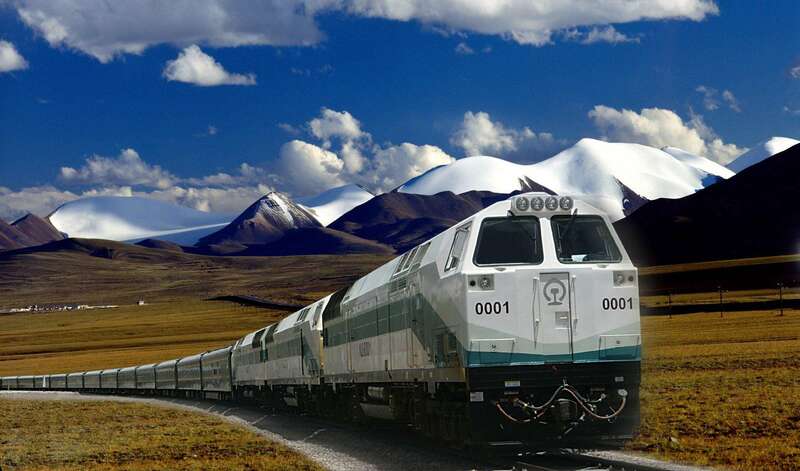 3) It is easy to book tickets in the winter. The tickets of the hottest sights are not limited as they are during the peak seasons. This means that visitors will be able to go to what sites they want, when they want. 4) The prices are cheaper in the winter. It is the "low season". Due to the fewer number of tourists, the tour prices, such as those for accommodations, transportation, and guides are far more affordable in the winter. For example: the price of a 3 star hotel during the winter will be around 100 to 200 RMB lower than during the summer. In the winter Lhasa takes on a completely different appearance. The city feels much homier and not touristy. The bright sunshine lights this amazing city, illuminating every corner of Lhasa. The city rejuvenates itself and appears refreshed. In the Tibetan winter, visitors will see the pure poetry of Lhasa and feel and touch its spirit. Traditional ethnic costumes, delicious food, beautiful landscapes and amazing surprises fill every corner of Lhasa. Go shopping on Barkhor Street, sip butter tea in a tea house. The most modern amenities and material comforts seamlessly blend with the purest local traditions making the winter the perfect time to visit this amazing place. Sutra streamers and small mounds of Mani stones, which are carved or painted with scriptures, can be seen throughout Tibet. Temples and religious activities can be found in every corner of Tibet with worshippers of all ages holding butter lamp, spinning prayer wheels, burning incense and worshipping. On the way to Lhasa, religious people devoutly prostrate themselves on the ground measuring the distance to the holy city with their bodies. At present Tibet’s population is around 2,700,000. More than 80% are farmers and herdsmen. In the winter, when the Tibetan farmers have finished bringing in their harvests, they swarm into Lhasa on their annual pilgrimage. Numerous devout worshippers holding butter lamp come to the Potala Palace and the Jokhang Temple annually to show their devotion. 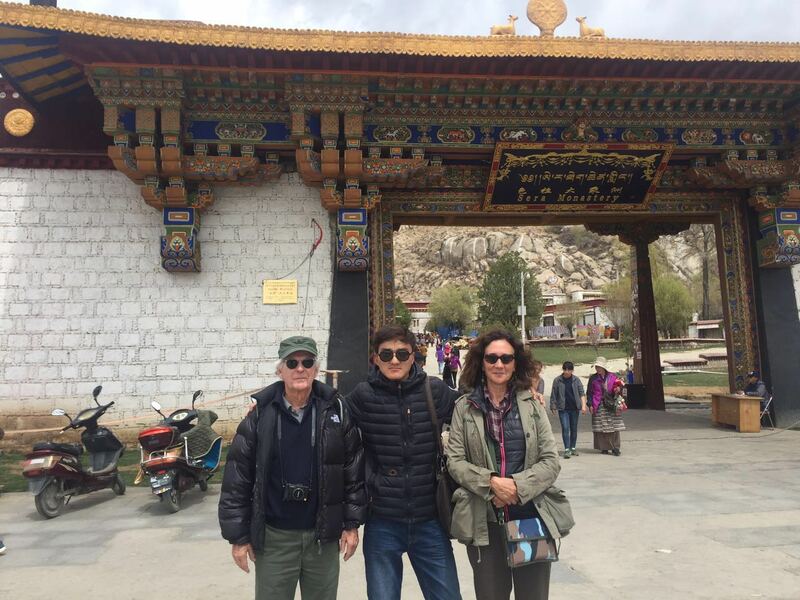 If you want to learn more about Tibetan Buddhism and explore the mystery of this ancient and fascinating religion, visiting Tibet in the winter is your best chance. The Tibetan New Year is the most important festival for Tibetans. Several days before the Tibetan New Year, Tibetans will start preparations for the festival. They begin by painting the walls, cleaning the shrines and utensils, drawing auspicious patterns on the windows, doors and beams of their houses. They will present an offering to The Buddha, such as various fried butter fruits, colorfully adorned sheep’s head, crocus flowers, fruits and snacks. The sheep’s head is an indispensable symbol of the Tibetan New Year. On the 29th of December on the Tibetan Calendar, every family will eat Gudu after sunset. Gudu is a porridge made from 9 different ingredients. Figures are put in the porridge, each having their own special meaning. If the eater finds one of the figures in their porridge they immediately know the meaning. For example, wool means kindness, salt means laziness, a white stone means pureness, charcoal means meanness. If one found a “monster” with a small head and big stomach in the porridge, he will be publicly punished. On the first day of the Tibetan New Year, the first bucket of water brought home by the housewife is called “pure water”. The whole family will put on new clothes, worship the gods and bless each other. On that day, people will greet their neighbors holding “zusuoqiema” in their hands, and wish for good fortune, good health and happiness forever. On the second day of the Tibetan New Year, people visit others and on the third day, they each put up scriptural streamers. Traditionally, believers on the 1st day of the Tibetan New Year will go on a pilgrimage to the Potala Palace, Jokhang Temple and Barkhor Street. Later, Tibetan families can be seen singing Tibetan songs and dancing. The spectacular customs of the Tibetan New Year are unforgettable. 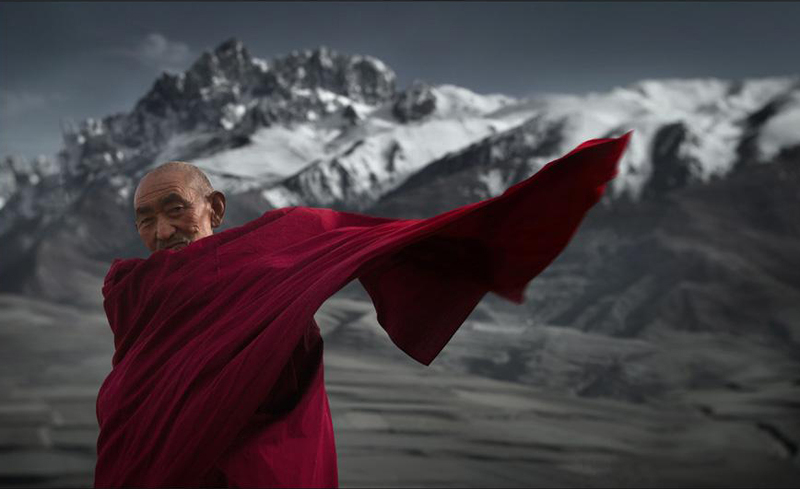 No visitor who has ever witnessed them has ever forgotten them, or the amazing people of Tibet. Visiting Tibet in the winter will give you the experience of a lifetime. Don't wait! Make an inquiry to us and we will send you all the details you want!